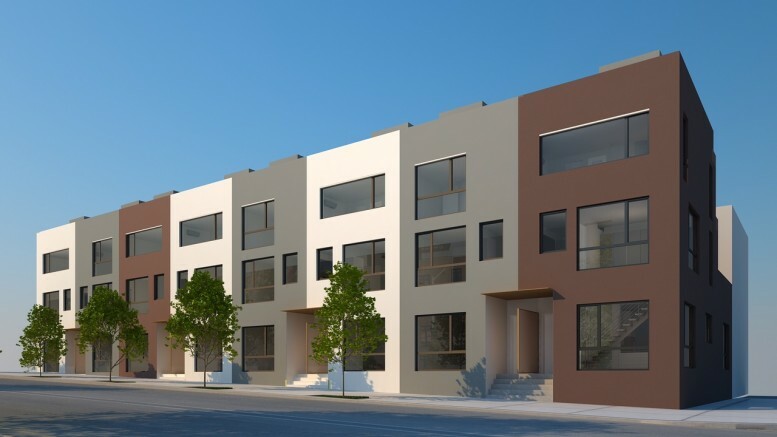 Last week, YIMBY revealed Hello Living’s planned Bed Stuy rental building at 1520 Fulton Street, and now we have new renderings for their townhouses in the works at Underhill Avenue and Pacific Street, in Prospect Heights. 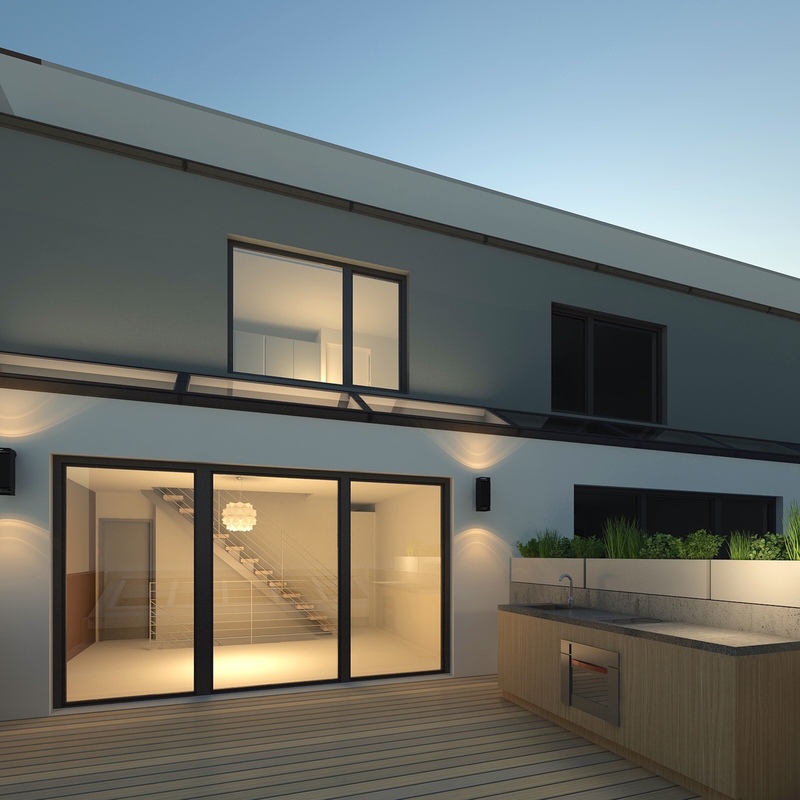 The eight single-family homes at 22-36 Underhill Avenue will have large private terraces with kitchens, green roofs, and triple-paned windows and doors. 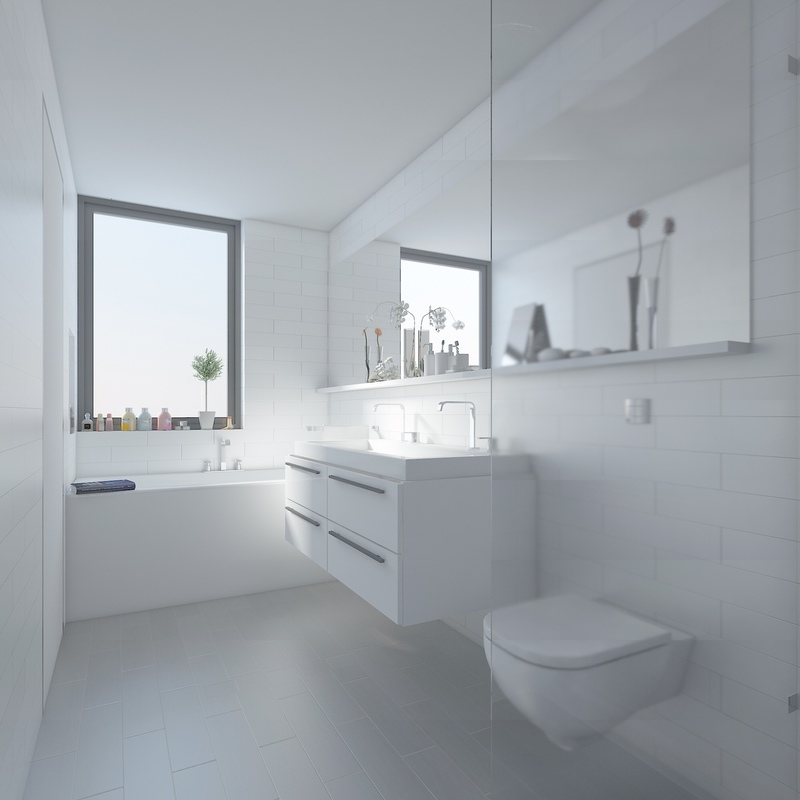 HL is aiming for the development to be Passive House certified, CEO Eli Karp told YIMBY. Like most Passive House developments, the three-story houses will have four inches of insulation on the outside and spray insulation on the inside, in addition to highly insulated windows and doors. Permit filings say they’ll be spread across 15,516 square feet of residential space, meaning that each house will be about 1,940 square feet. 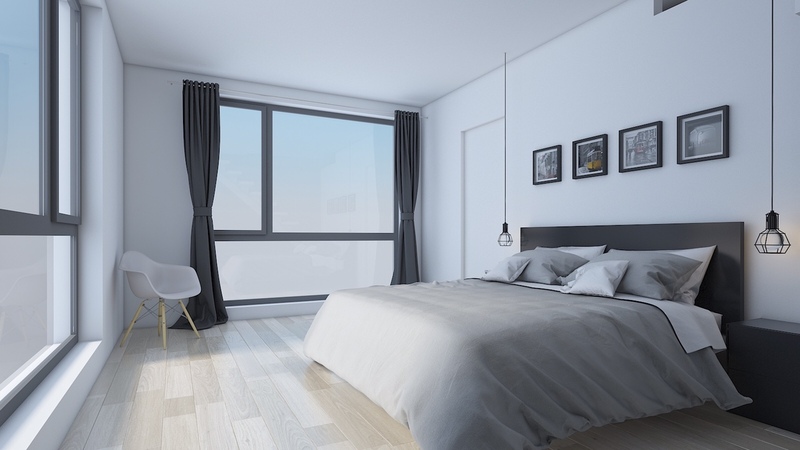 Loadingdock5 is designing the project, and they’ve handled several of Hello Living’s developments and plenty of Passive House buildings, including their own residence at 152 Freeman Street in Greenpoint. The homes will be built out of concrete blocks and steel joists, and the exterior colors have been updated to brown, white and gray. 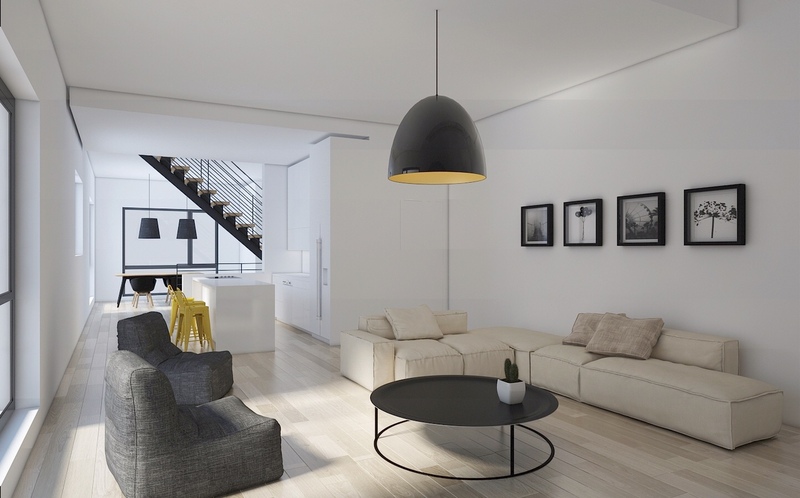 The interiors have the clean, modernist feel that we’ve come to expect from Hello Living, with a simple monochromatic color scheme. Asking prices will start at $3,000,000, according to Karp. The Department of Buildings has just approved plans, which were filed as an alteration of the existing warehouse, and construction is expected to begin in the next two weeks. The developer picked up the 7,800-square-foot warehouse for $2,100,000 in 2013, and Brownstoner revealed plans for the townhouses last year.